Have some spare time kill? Why not watch some old footage of Subaru's Impreza 555 slide, bang, wheezes and screech its way around some fearsome rally stages around the world during the 90's. For maximum enjoyment, turn up the volume and listen to its all-to-familiar boxer rumble. 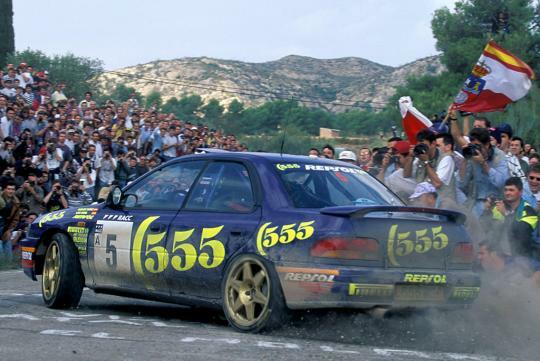 Some quick facts on the Impreza 555 Group A car. Those spectators back then has balls of steel. Wah!!! True man. The spectators form the side barriers and the road dividers! Even hairpin turns also pack both sides of the road.